UMC and the University of Minnesota School of Nursing on the Twin Cities campus have established a collaborative framework for the enrollment of qualified UMC grads into the School of Nursing’s Master of Nursing program. Through this partnership, students graduating with a bachelor’s degree from UMC who meet the eligibility requirements can apply to the Master of Nursing program. This partnership encourages students to complete their undergraduate degree at UMC and provides support from the School of Nursing for UMC students who are interested in continuing their educational journey after graduation in nursing through the Master of Nursing program. Nursing is a dynamic profession that has changed dramatically in recent years and nurses are vital members of the healthcare team. In order to respond to the nation’s changing health care system, employers increasingly seek to fill their Registered Nurse (RN) positions with individuals who have completed higher levels of education and training. Additionally, having a workforce of nurses who can leverage a knowledge base from other educational backgrounds with that of nursing brings a greater breadth of experience and skills to today’s complex health system. In 2014, U of M Crookston Chancellor Fred Wood signed an agreement with Connie White Delaney, Dean of the University of Minnesota School of Nursing on the Twin Cities campus. This agreement established a collaborative framework for the enrollment of qualified UMC grads into the School of Nursing’s Master of Nursing program. Through this partnership, students graduating with a bachelor’s degree from UMC who meet the eligibility requirements can apply to the Master of Nursing program. This partnership encourages students to complete their undergraduate degree at UMC and provides support from the School of Nursing for UMC students who are interested in continuing their educational journey after graduation in nursing through the Master of Nursing program. Master of Nursing students represent an array of diversity, not only in their age, gender, and race, but also in their educational background. While backgrounds featuring bachelor’s degrees in biology and health sciences are common, students in the Master of Nursing program have educational backgrounds that run the gamut—from chemistry to journalism to computer science and engineering. This variety shapes the learning environment in the classroom as well as the practice of nursing in the 21st century. The Master of Nursing program is a full-time, 16- month/4-semester graduate program that is designed for students with a baccalaureate-level (or higher) degree in a non-nursing field. The program includes all the essentials of a Bachelor of Science in Nursing with additional graduate work. Upon completion of the Master of Nursing, students are eligible to take the National Council Licensure Examination for Registered Nurses (NCLEX-RN) and are also eligible for Minnesota certification in public health nursing (PHN). Together, faculty and advisors from both UMC and the U of M School of Nursing will work with students to help guide them through the prerequisite coursework for the Master of Nursing program while these students complete their bachelor’s degree at UMC. These faculty and advisors will also guide the students through the application process for the Master of Nursing program. 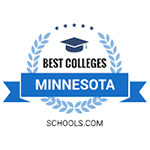 For more information, visit the University of Minnesota School of Nursing - Masters of Nursing. Have a baccalaureate degree in a non-nursing field. The degree must be complete by the end of the spring term prior to the fall start term (e.g. June 2018 for September 2018 start). Applicants with an associate’s RN degree are not eligible to apply to the Master of Nursing program, even if they have a baccalaureate degree in a non-nursing field. Complete at least five of the nine prerequisite courses by the November 1* application deadline. If offered admission, the remaining courses must be completed prior to starting the program in the fall. Submit scores for the Graduate Record Exam (GRE) general test. *The application cycle is open September 1 to Nov 1. Students admitted would begin the following Fall semester. **Applicants must have five of the prerequisites completed (with an A-F grade) by the application deadline. If a student does not have a strong science background, it is important to complete at least three of the five courses marked with an asterisk a part of the five required to apply. Once graduates of the Master of Nursing program pass the NCLEX, they are licensed as an entry-level Registered Nurse (RN), and they are prepared to begin their career in nursing. Additionally, the Master of Nursing program provides an excellent foundation for a Ph.D. in nursing or a Doctor of Nursing Practice (DNP) Degree at the School of Nursing. Program details are available online at www.nursing.umn.edu/degrees-programs.